The Pallavas ruled in Mysore, Karnatka, and southern India (incorporating the modern regions of Andhra Pradesh, northern Tamil Nadhu, and parts of southern Karnataka). Later on, they conquered vast areas of the sub-continent, expanding across much of it into what is now Afghanistan during the reigns of Dharmapala and Devapala. The origins of the Pallavas have always been an issue of speculation. There have been claims that they were the former governors of the Satvahanas, while some claim they descend from the Cholas. In truth, they probably benefited from the collapse of both powers and emerged following their fall. There is also one rather bizarre theory which states that 'Pallava' is an adulteration of the word 'Pahlava' for the Parthians of Central Asia and Iran. However, in Sanskrit the word 'Pallava' actually means a 'twig' and their Tamil lineage is, by and large, accepted by all. Their presumed list of mythical to just about historical (incorporating a claim of descent from Brahma) contains the following after Brahma himself: Angiras, Brihaspati, Samyu, Bharadvaja, Drona, Asvathaman, Pallava, Asoka, Kalabhartri and Chutapallava. 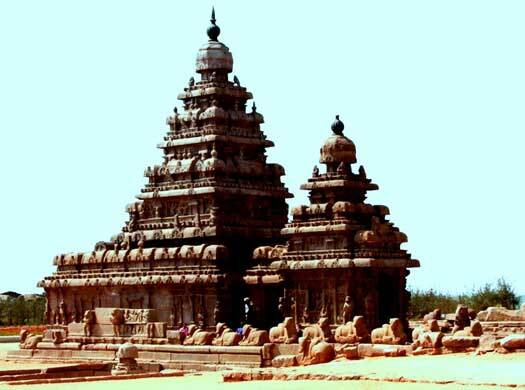 Pallava rule can be categorised as 'Early Pallava Rule' (up to around AD 550 and the arrival on the scene of Simhavishnu, their great king), and 'Later Pallava Rule' (from Simhavishnu onwards). While there are many lists of Pallava rulers that vary a good deal in the names they contain, the one by R C Majumdar, a highly respected Indian historian, seems to be the most complete, and the dates of rule he gives make more sense. Too many of the other lists appear to be too short to cover the given time span, even though they may be correct in the names they list. Majumdar is largely followed here for the early Pallavas, thanks to Stephen Barr's work in narrowing down the available options for a complete list of rulers (known as the Barr List). The Pallavas at the zenith of their power ruled present day Andhra Pradesh, the northern parts of Tamil Nadu, and parts of southern Karnataka. 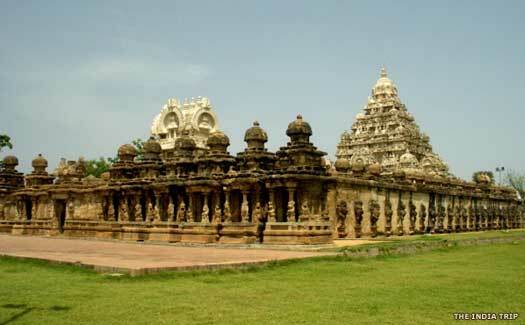 Their capital was at Kanchipuram (the region around Kanchi known as Tondaimandalam). They gained prominence after the decline of the Satvahanas and the Cholas, as they gained a foothold in the territories of both former powers. The genealogy of the early Pallava kings is very confusing, but in the book, Early Pallavas, author D C Sircar provides a highly useful summary to sit alongside the list by R C Majumdar. Names not included on the list by Stephen Barr (named for the sake of brevity the Barr List) are shown below in light grey. Father of Sivaskandavarman. Began the kingdom. 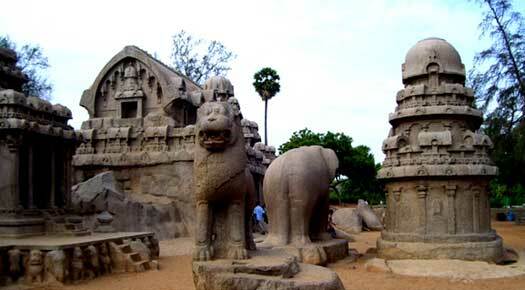 At this time the Pallava realm includes the Andhra country in the north and the Bellary district in the north-west. It is possible that the Western Gangas acknowledge his suzerainty. He issues the Hirahadagalli grant (in his eighth year), which is an honorific grant for a garden situated on the southern boundary of Cillarcacodumka. Skandavarman issues a grant during his reign that is now at the British Museum. He performs the Ashwamedha Sacrifice after increasing the borders of his kingdom, extending the territory under his rule from Krishna to the South Pennar and Berar districts. Vishnugopa comes in conflict with the great Gupta king, Samudragupta, and is defeated. 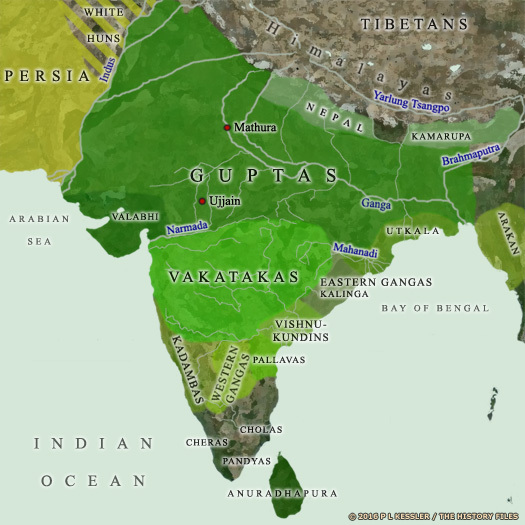 Despite this, it is around this period that the Pallavas count the Western Gangas as their vassals, although the disruption caused by Samudragupta's various campaigns possibly leads to the emergence of several tribes as minor regional kingdoms in their own right, especially in the more distant south. It seems likely that the Western Gangas now begin to carve out a small but prominent kingdom of their own, as do the Kadambas of Banavasi (in coastal Karnataka). Son. Issued the Chendalur grant. Reign in some doubt. Not on the Barr List. Son of Kumaravishnu. Alternatively numbered lower in some lists. Son. Ruled jointly with his father, perhaps from another capital. Ruled from Kanchi. Issued the Udayendiram grant. Joint ruler, but from Palakkada. Candadanda comes into contact with the Kadamba king, Ravivarma, in the first quarter of the sixth century (before 519). The Kadamba attack is thwarted, but Pallava power is declining anyway, and the Western Gangas declare their independence about 529. The son of Simhavarman II is Simhavishnu, and it is he who leads the revival of Pallava power, beginning what is subsequently known as the Later Pallava period. Simhavishnu reigned around AD 550 (a reign of thirty-plus years), beginning the Pallava revival that defeated the Kalabhras. He recreated a strong Pallava kingdom by subduing many kings in the south (such as the Cheras, Cholas, the now-subdued Kalabhras, and the Pandyas). His kingdom soon extended beyond Kanchi (as far as the River Kaveri). Through his naval expeditions he subdued Malaya (Indo-China) and Ceylon (Sri Lanka). Simhavishnu also patronised literature and poetry. He was said to be a patron of the great Sanskrit poet, Bharavi, and was himself a Vaishnavite Hindu by religion. Son of Simhavarman II. Ruled for about 30 years. Mahendravarman wards off an attack on Kanchipuram by Chalukya king Pulakeshi II, though he has to cede areas of his northern territories to the Chalukyas (Vengi province). Narsimhavarman I defeats the Chalukyas under Pulakeshi II and wrests back the territories lost by his father. He also attacks and plunders Vatapi (Badami), the capital of the Chalukyas, killing Pulakeshi II in the process. He later subdues the Cholas and the Cheras, and is said to help the Ceylonese prince, Manavamma, in gaining his kingdom. During the reign of Mahendravarman II, King Manavarma of Ceylon is deposed and driven into exile, going to the Pallava court. Mahendravarman himself is killed in a collective attack by the Chalukyas, the Gangas and the Pandyas. Son. Continued to fight the Chalukyas. As soon as he gains the throne, Parameshvaravarman continues fighting the Chalukyas under the leadership of Vikramaditay I. He captures Kanchi and advances south to the River Kaveri. In 674 he fights the Battle of Peruvalanallur, near Trichinopoly, and is victorious despite facing a huge coalition. Parameshvaravarman occupies Chalukyan territories from which he withdraws only after the Chalukyan rulers agree to pay a yearly tribute and accept Pallava overlordship, but not before the occupation army annihilates several Chalukyan princes, nobles and citizens. This victory enables the Pallavas to assert their hegemony over the subcontinent. Son. Built the Kailasnatha temple at Kanchi. At his accession, Narsimhavarman is the ruler of the most powerful military force in the subcontinent. Rajasimha is a great militarist, exchanges ambassadors with China, and offers 'to certain rulers assistance in their war against Arabs'. His reign is comparatively free from any political disturbance so great progress is made in the direction of temple building. Son and heir. Predeceased his father. Brother. Continued to fight the Chalukyas. Died without an heir. The reign of Parameshvaravarman II signals the turn of the tide in Pallava fortunes. Kanchi is invaded by the Chalukyas and Parameshvaravarman has to surrender and accept humiliating conditions. He attacks the Chalukyas but is defeated and killed, dying without an heir. A war of succession is avoided as military leaders (dandanayakas), scholars, and representatives of the merchant class and the peasantry form an entourage and undertake 'a long journey' to reach the kingdom of Kambujadesa (modern Cambodia and Vietnam). They are ruled by a certain Kadavesa Hari Varma, who is a sixth generation descendant of Bhimavarman, brother of the great Simhavishnu. Of his sons, only the youngest, Nandivarman, accepts his request to return to the Deccan to govern the Pallava kingdom as successor to the deceased Parameshvaravarman. During the absence of a ruler in the Deccan, the Pallava's regional enemies mobilise as if they are about to invade but, as the Pallavas wait and watch, nothing occurs. Related to Parmeswaram II. Continued to fight the Chalukyas. The awaited Chalukya invasion takes place, with Vikramaditya II occupying Kanchi. The Pallavas soon recover, having to fight the Cholas, Pandyas and Gangas in quick succession (with the Cheras as allies at least against the Pandyas). Eventually defeated by Dantidurga of the Rashtrakutas, Nandivarman still loses none of his kingdom. During the reign of Dantivarman the kingdom is in noticeable decline. The Pandyas and the Rashtrkutas defeat the Pallavas under his command. His successor, Nandivarman III, tries to regain the lost glory of the Pallavas but is also defeated by the Pandyas, who have become the new enemy to be feared by the weakening Pallavas. Nandivarman is a powerful monarch who tries to reverse the Pallava decline. He makes an alliance with the Rashtrakutas and the Gangas, and defeats the Pandyas at Thellar, near Kanchi. He then pursues the retreating Pandyan army as far as the River Vaigai. The Pandyan ruler, Srimara Srivallabha, however, recovers most of his territories and even defeats the Pallavas at Kumbakonam. Upon Nandivarman's death, differences arise between Nripatunga and his step-brother, Aparajita, probably owing to the latter's ambition to rule the kingdom in his own right. Both sides look for allies. and for the time being, it is Nripatunga who rules the kingdom. Nripatunga manages to turn the tables on the Pandyas and inflict a defeat on them under their king, Srimara Srivallabha, as one last salve to Pallava pride. Aparajita tries to revive the the fortunes of the Pallavas by defeating the Pandyas again, with the help of the Cholas who are his vassals, but in 891 the Chola king, Aditya, breaks the yoke of his Pallava overlords and completely defeats them. This allows the Cholas to established their own supremacy in southern India. During the thirteenth and fourteenth centuries, the Kadava dynasty comes to prominence. It claims descent from the Pallavas. Its most notable kings, Koperunchinga I (1216-1242) and Koperunchinga II (1243-1279) are said to be instrumental in the destruction of the Chola dynasty.